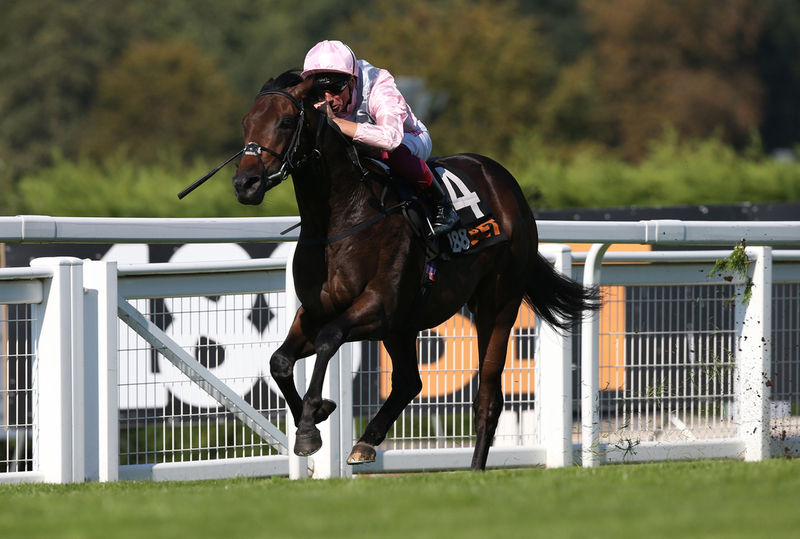 Too Darn Hot’s exclusion of the Greenham Stakes did somewhat take the gloss off the two-day meeting at Newbury, and with the Craven Stakes only a few days away, again we can expect not too much impact on the colt division. John Gosden’s standout two-year-old Champion of last season, was meant to appear this weekend as a prep run ahead of the opening Classic of 2019 held at Newmarket. However, a slight hiccup in training saw the son of Dubawi skip his entry, and leave a field of eight for the Group Three seven-furlong clash, with Almufti and Magic J likewise not making the trip to the post. Hello Youmzain and Boitron were both prominent in the market and fighting out favouritism in the preliminaries, but neither figured in the climax to the race, with Mohaather from the Marcus Tregoning yard landing the spoils in the infamous colours of Hamdan Al Maktoum. Great Scot could not reel in the winner but did save his best work until last, with Richard Hannon’s Urban Icon back in third. The three-year-old ridden by Jim Crowley has halved in price ahead of the Guineas, but sitting at 20/1 from 40’s, he has not harmed the market credentials. Too Darn Hot has naturally drifted due to concern on whether he will make the meeting on the Rowley Mile, but remains as the 6/4 favourite, with the likes of Ten Sovereigns, Magna Grecia and Zakouski all taking closer order. Madhmoon is the only horse towards the summit of the betting with a run to his name this season, and he finished second to Never No More in a trial last weekend at Leopardstown – albeit over seven. Before the weekend, the fillies’ category was missing a so-called ‘star’ - that looked the horse to beat ahead of the 1000 Guineas – the equivalent to the 2,000 but for the girls. The Fred Darling was won by David Elsworth’s Dandhu who prevailed by the narrowest of margins, ahead of Iconic Choice and Aiden O’Brien’s So Perfect. The three-year-old filly - who was ridden by Gerald Mosse, has been installed as the current third-favourite for the 1,000 Guineas at 12/1 from 20’s. Only Skitter Scatter and Just Wonderful sit at shorter prices in the market, and are yet to appear this season. The biggest discovery this weekend is that it appears most trainers are satisfied at the moment to send their stable-stars to the Guineas meeting without the need for a run. As mentioned, they do have an opportunity to unleash those needing to brush away the cobwebs in another sequence of trials this week, with the Nell Gwyn Stakes for the fillies and the Craven Stakes for the colts. Zakouski – arguably the standout name in the field for the race won last year by future Derby winner Masar, will try his hand on the turf for the first time for trainer Charlie Appleby.